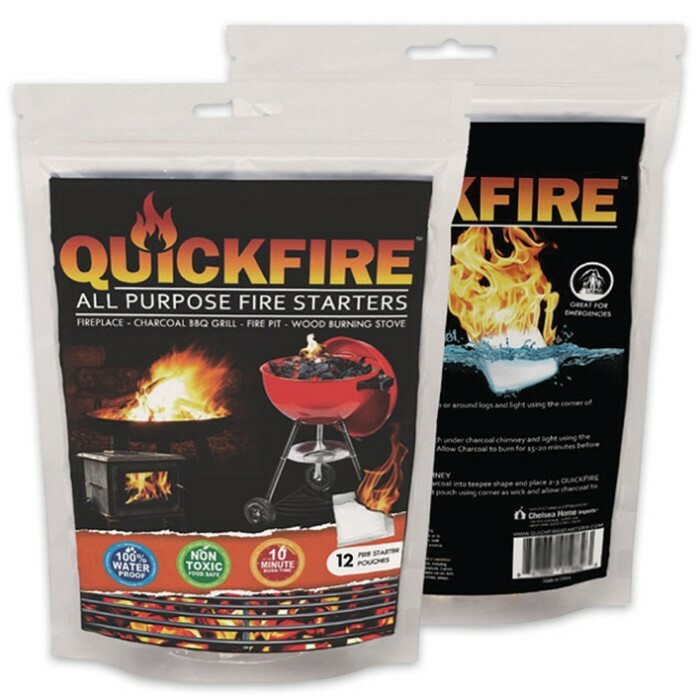 Quick Fire - 12 Piece Bag | BUDK.com - Knives & Swords At The Lowest Prices! Quick Fire is the safest and easiest to use fire starter on the market today! The packets are so safe that you can ship them or even fly with them. The non-combustible and non-toxic design is what makes them suitable to use outdoors or indoors because they burn with no odor, smoke or harmful fumes. The packaging material acts as a wick, effortlessly starting coals, fireplaces, grills, campfires, fire pits, wood burning stoves and more! 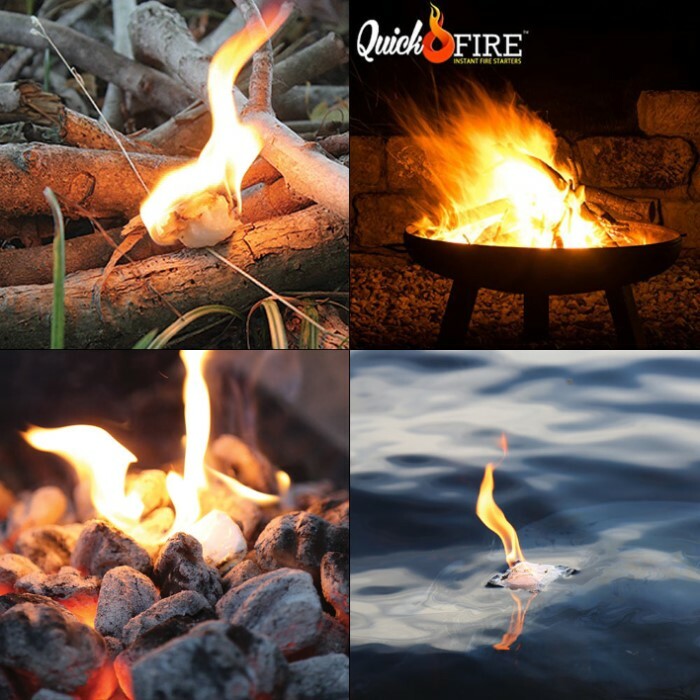 Quick Fire will never expire or lose flammability, and, since they are completely odorless, they are perfect for indoor storage. 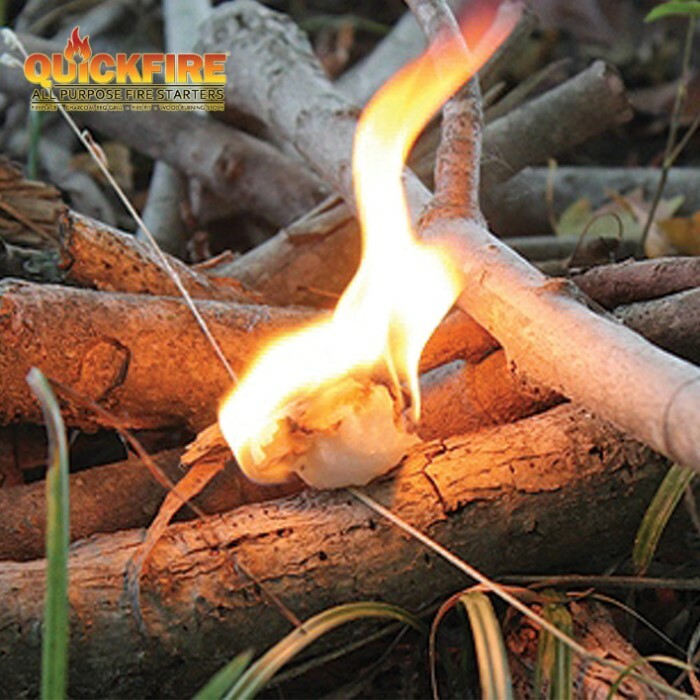 The innovative sealed pouches are 100% waterproof and are able to withstand the most severe weather and still ignite Each pouch burns up to 10 minutes long.